Crypto.com, the pioneering payments and cryptocurrency platform, today announced the appointment of Tyson Hackwood to the leadership team as SVP, Head of Global Merchant Acquisition. Tyson will be expanding the reach and adoption of Crypto.com Pay, a cryptocurrency payment solution powered by the Crypto.com Chain. Crypto.com Chain is Crypto.com's high-performing native blockchain solution that will drive cryptocurrency adoption globally by enabling instant crypto payment transactions. Its Crypto.com Pay solution will allow customers to pay for goods and services with cryptocurrency while receiving generous cashback rewards. For merchants, Crypto.com Pay offers greatly reduced processing fees for settlement in cryptocurrency, online or offline. "As we develop the Crypto.com Chain to fulfil the current industry need to pay and be paid in crypto, Tyson will play an important role in expanding the number and quality of merchants that are part of our network," said Kris Marszalek, Co-Founder and CEO of Crypto.com. "His relationships and experience in online digital payments will significantly advance our goal of enabling seamless, secure, and cost efficient transactions between merchants and cryptocurrency users worldwide." 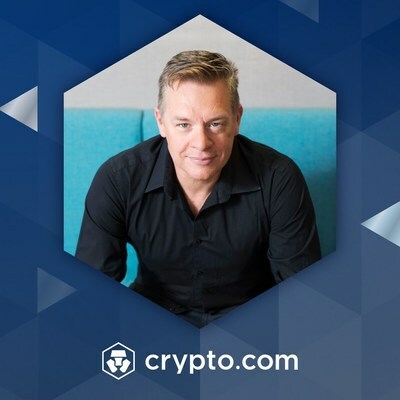 "I am thrilled to join the team to help to grow Crypto.com Pay through strategic partnerships with merchants," said Tyson. "My experience in working with digital driven organisations and developing collaborative business channels, combined with Crypto.com's intuitive platform, will aid in the steady and sustainable adoption of this native blockchain technology and cryptocurrencies."